In today’s technological world, it is important that you establish an online presence for your business using tools like WordPress. You may think that going digital with your business is challenging, but setting up a customizable site has never been easier. You can now activate your own website with zero coding knowledge through the WordPress site. In Today’s Five Tips Tuesday, we’ll let you in on how WordPress can help your business for the better. Find out how to publish your own website. Discover how to monetize your newly made website. Check out the infographic that will help you visualize the process of website building. Learn how to install new widgets and WordPress themes that will fit your business. Finally, get the book that can help you create a responsive WordPress website. With a wide range of upgrades available on the internet, you’re probably wondering, why WordPress? This particular tool offers a wide range of benefits for both beginners and experts alike, so this is definitely one of the top picks if you want to create a website with ease. Find out more about what WordPress can do for you in this article. 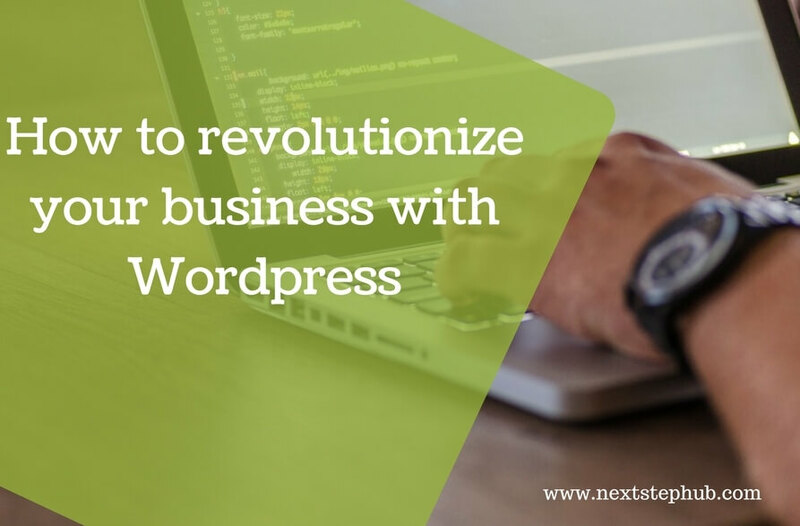 Now that you’re familiar with what WordPress can do for you and your business, the next step would be to get started on building that website. There isn’t a shortage of resources that can help you begin your quest in creating your website. Reading something right off the bat can be a bit overwhelming, so here’s a handy infographic to help you visualize what you need to do. After learning the process of building a website, it’s time for execution. Check out this guide and learn how to customize your website and add WordPress plugins. Once your done establishing the foundations of your website in your dashboard, what’s next? Let’s kick it up a notch and help you monetize your website! There is nothing wrong with a nice and organic growth of your online presence, but what if you could configure your website to achieve this 30% faster? Check out the 13 ways you can make money through WordPress and see how far you can take your business in the digital world. Do you want to learn more about how you can a create a site from scratch using WordPress? Let Sarah McHarry show you how with her awesome book, ‘WordPress To Go’. Allow her to take your business to the next level by guiding you towards building your own website. After reading her book, you’ll be able to navigate the website like a pro. Has WordPress helped your business thrive in the digital world? Let us know in the comments!